Featuring a gorgeous medley of luxury real estate, homes in St. Andrews Heights offer exquisite living in an established prestigious Calgary community. St Andrews real estate provides fantastic homes with gorgeous historic designs, wonderful landscaping, and a highly efficient location near McMahon Stadium. In addition to its convenience, the St. Andrew’s location also offers fantastic views of the Calgary skyline and surrounding parklands. Discover St Andrews homes for sale below or learn more about the community! With a price that reflects the high quality neighbourhoods, St. Andrews property is best suited for successful professionals and luxury buyers. Charming houses rich with character and unique designs allow for superb family living. St. Andrews, named in homage to the famous St. Andrew’s Golf Courses in Scotland, was initially built by British immigrants as a golf community. When the golf course fell to financial difficulties, a collection of homes were built on the land in the 1950s and became the St. Andrew’s suburban community. St Andrews is home to two fantastic amenities within the community: the Foothills Medical Centre and McMahon Stadium. 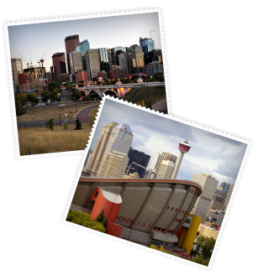 Just beyond the borders, Foothills Athletic Park and the Bow River make it easy to live active, healthy lifestyles. Throughout the year, St. Andrews homeowners band together to create and participate in community events. Past events have included wine and cheese nights, Halloween parties, winter festivals, neighbourhood clean ups, volunteer appreciation galas, and much more. Consequently, life in St. Andrews Heights remains engaging, and residents enjoy a strong sense of community. Explore St. Andrew’s homes for sale with the Calgary Real Estate Advantage team and we’ll help you find the absolute best property opportunities. Register with our site or call 403-968-1496 to get started!